Please tell us about your latest book. Before You Go is, essentially, a love story, but it has a twist. The book starts after Ed has died, and his widow Zoe is grieving for him. Things hadn’t been good between them before he died and she wishes with all her heart that she could change things, go back and tell him that she loves him, hold him in her arms one last time. She then has an accident and falls into a coma. When she wakes, she unexpectedly finds herself as her 18 year old self, and realises she’s reliving her first day at university, which is the first day she and Ed met. As the days pass she relives lots of the most important days of their relationship, and she starts to realise she’s not only been given the chance to see him again and say goodbye, but that she might actually be able to change the outcome, and maybe even stop him dying . . .
Where do you find inspiration for your books? From every day lives. I spent many years writing true life stories for magazines, and sometimes people’s real stories can be more fascinating and heartbreaking than anything you could make up. I loved listening to people pouring their hearts out, describing how things made them feel because it’s not always how you expect them to feel. Stories about real people and real lives are what interest me, and the idea for Before You Go came, very vaguely, from a story I once read about a lady who hit her head and when she woke up she thought she was still 17. She didn’t know who her children or husband were or who the woman in the mirror was. It fascinated me, the thought of how that must feel and I wanted to explore it. What Before You Go ended up being was actually very different from this in the end, but it was the spark of inspiration for me. Can you tell us a little about your average writing day? With two young children there’s not really any such thing as an average writing day! But I do try and be quite structured, otherwise I easily run out of time. I drop the kids off at school and then head to my desk where I’ll make sure I have tea, snacks and a hot water bottle or heater to hand, and then I’ll check emails and facebook and twitter before getting started, in the hope they won’t distract me after that (it doesn’t always work!). And depending on what stage I’m at in the writing process, I’ll either start by rereading what I wrote the previous day so I can try and carry on in the same way, or I’ll start making notes about characters, or researching something on the internet. If I’m writing a first draft I try and write an absolute minimum of 1000 words a day, which some days is so easy, and others is a real struggle. But there’s nothing more satisfying than seeing the word count going up! I always end the day by emailing the latest version to myself in case the computer blows up. I’m paranoid about losing everything! What book means the most to you? It’s hard to say. Margaret Atwood’s The Handmaid’s Tale was a book we studied for English A Level and I loved it. I’ve also always loved Jane Austen and although I haven’t re-read any for a while, she’s always there waiting for me if I ever run out of new books to read! Which female writer has inspired you? I’ve loved Margaret Atwood since I was at school and we read The Handmaid’s Tale. I really love her simple, pared-down style of writing, which expresses everything it needs to so brilliantly without the need to try and use loads of big, complicated words. For me, that’s the best, and hardest kind of writing to do. I also absolutely LOVE Maggie O’Farrell. She’s never written anything I haven’t loved. Her sense of pace and characterisation and plot makes me long to be better all the time. What are the best bits, worst bits and most surprising bits of being an author? The best bits so far are realising that people you don’t know are paying for, reading and actually enjoying this book you’ve spent so long writing, reading and re-reading that you’ve absolutely no idea whether it’s actually any good any more! I also love the actual writing process as I love seeing what the characters get up to as the plot develops. I think the worst bits will still be to come, which will be the people who hate the book. I know you can’t please everyone, but it will still be hard to read. And for me the whole thing has been rather surprising as it’s something I’ve always dreamed of doing but never actually believed would happen. But it has, and it’s amazing. What is your writing process? Do you plan first or dive in? How many drafts do you do? I plan. I’ve tried just sitting down with a vague, half-formed idea and just writing into the ether to see what happens and for me, nothing happens apart from me writing myself into a corner and giving up! So for Before You Go and my second book which is still in progress, I’ve planned chapter by chapter. There isn’t lots and lots of detail in those plans, but I find it much easier to sit down to start a new chapter knowing where it’s going, and also where the whole story is going. There’s then plenty of freedom within the chapters to go off and tangents and see where your imagination takes you. That’s the fun bit. Before You Go took a while to write, but then I did some substantional re-writing after finding my agent, and then some more re-writing with my lovely editor Victoria at Pan Macmillan, and then there were several rounds of tweaks, so I suppose there have been three or four main drafts but lots of smaller edits as well. We’ll have to see with book two – I’m on draft three already! What was your journey to being a published or self-published author? On New Year’s Eve 2012 I decided that 2013 was going to be the year I wrote my novel, whether it got published or not, because it would be the one thing I’d always regret if I didn’t even try. And so even though I had two young children and hardly any childcare, I put aside every Thursday to write my book. I stuck to it rigorously, and after a year I had a rough draft done. I was thrilled. I then spent some time re-working it in 2014, and then I put it to one side for a bit, thinking it was no good. I picked it up every now and then to have a tinker with, but it wasn’t until early 2015 that I decided I needed some help. So I paid my author friend Katy to read it for me and write an honest appraisal. The result of that involved a few editorial changes, but she really liked it, and it gave me the confidence to send it out to agents. So, in August 2015 (11th August - remember the date very clearly!) – I sat down and went through the Writers and Artists Yearbook and marked all the agents who represented my type of fiction, and then I went through their websites meticulously to find out exactly what they wanted. And then I sat down and sent it out to 11 or 12 agents in the first instance. I assumed I wouldn’t hear back for ages and tried to put it out of my mind. But to my astonishment, just three days later I had an email from Judith Murray’s assistant at Greene and Heaton asking to see the full manuscript. Judith had been an agent someone had recommended to me and had been at the top of my list (as if I was going to be fussy, but a girl’s got to dream! ), so with shaking hands I sent the full thing and then sat down to wait. And press refresh . . . and again . . and again. The wait wasn’t actually very long but it felt like a lifetime, and then, just a few days later, Judith emailed me to ask me to go in to see her. And so, to cut a long story short, I went to see her the next day, spent a good couple of hours talking it through with her, and went away with an amazing agent who’d agreed to represent me, as well as a whole loads of changes to make to my novel. It took me a couple of months, but when I sent the reworked version back to Judith she loved it, and sent it out to publishers the very next day! In the end I had two publishers interested in it, but I went with my heart and went with Pan Macmillan who seemed to absolutely LOVE the book and really understood the characters and everything about it. That first meeting honestly felt like a dream. That was back in October 2015 and now here we are and the book is out, and I still can’t really believe it! What advice can you give to our readers who want to write a novel of their own? Commit to making time for it. If, like me, you’re terrible in the evenings and just want to slob in front of the TV and relax, then don’t kid yourself you’re going to do it every evening because you’ll set yourself up for failure. Choose a realistic time that you’ll stick to, even if it means paying for extra childcare or turning down other work, or getting up at silly o’clock if that’s what it takes, and just get on with it! I spent too many years saying I wanted to write a novel and not actually doing it, so I know how easy it is to do! And I know some writers say you must write every day but it’s not realistic for everyone, myself included. And so don’t beat yourself up if you only have a few hours once a week to do it. It’s still time you’ve dedicated to writing, and as long as you don’t spend the time checking facebook, you’ll be fine. Book two is well underway, so I’m editing that, and I’m starting to think about planning a third book, but it’s still very much in the early stages. and Brian Grazer (The Da Vinci Code) & Michael De Luca (The Social Network) to produce. This book is out on 26 January 2016. The Girl Before had a very odd gestation. I started it over sixteen years ago, at a time when I was writing not-very-good crime novels and casting around for a new direction. I immediately fell in love with my premise – that two women, three years apart, each get the chance to move into a strange but very beautiful minimalist house, on condition they agree to live there exactly as the architect intended – but, for one reason or another, I just couldn’t make it work. So I left it, half-finished, in my bottom drawer and went off to write a different kind of book instead. Those books turned out to be reasonably successful, and my publisher offered me a contract that kept me busy delivering a new novel every couple of years. But in between those books, I kept coming back to The Girl Before. I tried it as a screenplay, then a TV script, then a psychological thriller again. I wrote 50,000 words – about half a book – then ditched all but two chapters. I just couldn’t see what the real story was – but I knew that, somehow, it meant a great deal to me. And then, last year, I had a revelation. Both my lead characters are attracted to the cold, clinical perfectionism of One Folgate Street – my minimalist house – because they’re damaged in some way. One, Emma, has been burgled. The other, Jane, should, I decided, have had a stillbirth. And as I wrote that crucial scene, something extraordinary happened. I realised the connection I felt with this book was because my partner and I had also lost a child – to cot death, rather than stillbirth – many years previously. Our next child was born with a rare genetic condition similar to autism. At some deep, unanticipated level, I had been using the various drafts of this story to work through what had happened to us – the perfect life we’d once thought we were going to have; the picture-postcard family; all replaced by something quite different but no less wonderful; leaving in its place, perhaps, a deep-seated distrust of the apparently-perfect, and the people who are attracted to the idea of living a beautiful, well-ordered life because they think it will somehow fill the hole in their own hearts. Once I’d realised that, the book wrote itself. In fact, it wasn’t even finished when it was sold at the Frankfurt Book Fair – a sample of just the first fifty pages was circulated and prompted offers from publishers in thirty-five countries. Now that publication looms, seeing it finally go off into the world is both terrifying and satisfying. But I’ve also learned a valuable lesson as an author: even when you don’t think your story is about you, it is. Sue Fortin is the author of several books, among them, The Girl Who Lied, and her most recent book, Sister Sister, which came out earlier this month. Here's a little about her writing space. I’ve had so much fun looking back at everyone else’s writing rooms, that I nearly forgot to write about my own! Our house is very open-plan which is nice for the family but not so nice when I’m trying to work and everybody is milling about. So, to stop me getting distracted and stressed, my husband very kindly built me a writing room! It does help he’s in the construction industry. It’s hard to get a good picture of the outside, as it’s tucked away in a corner of the garden which was essentially a storage area. I wanted a desk spanning the width of the writing room so I could spread out, as by the end of the day I find I have no end of things scattered around me. I have to admit, this picture was taken in the morning on a good day. To one side I have my white board where I jot down some key facts about the characters in my latest wip. I also have other character info hanging up on bulldog clips along the shelf and often end up clipping the timeline there too. I’m very much a visual person, so having these as prompts is ideal. To the other side are my box files where I keep magazine, articles, printed manuscripts, etc. I often share my writing space with my dog, Tess. She’s 14 years-old now, so tends to make herself at home by the bookcase and does a lot of snoozing. Nicola Cornick is an international bestseller and has penned over 40 novels. She's been shortlisted four times for the US Romance Writers of America RITA Award and twice for the UK Romantic Novelists Association Romance Prize and has popped by today to tell us a little about her new book. The Phantom Tree is a time-slip historical novel about Lady Mary Seymour, the daughter of Henry VIII’s widow Katherine Parr and is out now. The Phantom Tree is a time-slip book set in the current day and in Tudor England. Alison, the heroine, is searching for the son she was forced to give up when she was very young. Her quest to find him sees her delving into old family history and unravelling the mystery of the disappearance of her childhood friend, Mary Seymour, the daughter of Queen Catherine Parr. It’s a book that combines romance, intrigue and the supernatural! I find inspiration in so many places, especially in local folklore and legends, and in the landscape and history all around me. I get ideas from my reading and from places I visit. In the case of The Phantom Tree though the first spark came from a portrait that belongs to one of my relatives. It’s a little painting of a woman in Tudor dress and on the back it says that it is of Anne Boleyn. It doesn’t look like any paintings of Anne I’ve seen so I started to wonder if it might be someone else instead… I’d recently read about Mary Seymour, who was the daughter of Catherine Parr and her fifth husband, Thomas Seymour. No one knew what had happened to Mary so I put the two ideas together and came up with a historical mystery! I take the dogs out for a walk first and then we all settle down by about 8.30am, me at my desk in the study and the two of them snoring on the floor next to me! I write in the mornings, aided by several cups of tea. After lunch I do my emails, social media and any other work-related-but-not-writing tasks. Then I’ll get some fresh air going out for another walk and then I’ll follow up with some more writing. That’s the theory anyway! I do try to be disciplined with my time but Twitter is my weakness! That’s a hard choice but I think it is The Daughter of Time by Jospehine Tey. It’s a fictionalised account of an investigation into King Richard III and the murder of the Princes in the Tower. My stepfather gave it to me to read when I was in my teens and it kick-started my interest in Richard III, who became a historical hero of mine, and also led to my fascination with historical mysteries. I love all Josephine Tey’s books but that one in particular. Quite a few! Georgette Heyer, Jane Austen and Mary Stewart are amongst my influences but I think Daphne Du Maurier has probably been the most inspirational. I love the way in which she creates such rich, evocative settings, such complex and deep characters and so often has an edge of menace to her writing. I also love that she wrote across so many different sub-genres: contemporary, historical, time-slip, even futuristic. For me the best bit of being a writer is that I love it and it makes me happy so to be able to do a job I love feels a great treat. The worst bit is working in isolation because I am quite a sociable person and get lonely if I’m on my own for too long. Then I get distracted onto social media to compensate, then I waste time and get annoyed with myself! The most surprising bit? Hmmm… That people think it’s a glamorous job when most of the time I forget to change out of my pyjamas or dog walking clothes and it’s just me and my keyboard every day! I’m not a planner. I do try but it’s hopeless. I know that if I sketch out a detailed synopsis my characters will only head off in a different direction anyway and make a nonsense of it. My books evolve so much as they go along and although that can be frustrating it’s also exciting to see where they are heading off next. I started writing when I was in my teens and when I was about twenty-one I sent my first manuscript to Mills & Boon. It was very heavily influenced by the historical romances I had read and I thought they would be the ideal publisher. They rejected it, saying there was too much intrigue in it and not enough romance, and after that I got caught up in life and work for years, and only wrote on and off. I’m not sure what prompted me to get the manuscript out and start working on it again when I was in my late twenties but I revised it and sent it in to them again – I’m nothing if not determined! They turned it down again but this time with lots of helpful feedback and the editor told me that if wanted to send in something else she would be happy to look at it. That was the moment I think I realised I might actually get published so I re-wrote the book for a third time and worked on it every hour I could find and the third time I sent it in, Mills & Boon accepted it. It had only taken me 12 years! I’d say believe in yourself. You need to be determined and you need to believe that you can do it. So many things can eat into your writing time and wear away your enthusiasm if you let them. Try to write whenever you can. It doesn’t matter what you write or if you think to start with that it isn’t any good. Get the words down and then you can work on them, and stick with it. You can do it! I’m writing another time-slip book, this one set in the 18th century. It focuses on Lady Diana Spencer, an ancestor of the late Princess of Wales. Like our Diana., she was a fascinating character and her story is an amazing one. I always enjoy reading Sue Moorcroft's books and was delighted when she agreed to tell us about her Brilliant Book Moment. Over my time as a writer I’ve been fortunate enough to experience some wonderful highs – readers telling me that one of my books helped them get through a bad time, characters receiving their own fan mail, winning or being nominated for awards, and lovely messages from readers and great reviews. On 16 December 2016 something happened that topped even those marvelous things. I received a message from a friend to ask if I’d seen the Amazon ranking for my latest book, The Christmas Promise, that morning. I had checked it, of course, because it had been in the top ten in the UK Kindle chart for a couple of weeks, latterly the top five. I’d seen that I was back up to #2, which was great, because I’d been at #2 and then drifted between #2 and #4. I joked that I’d finally shifted above another book in the rankings, one that had been #1 for ages, just as somebody found and published hitherto unseen manuscripts from the great Georgette Heyer to take over the top spot. After a few minutes I checked the Top 100 list on Amazon again – and screamed. The Christmas Promise was #1! Shedding tears of joy I dashed onto Twitter to alert my editor, Helen at Avon Books, only to find she’d got there first with an excited message of congratulations. My agent, Juliet at Blake Friedmann, wasn’t far behind. I rushed to tell family members, best friends, my street team, Facebook, the world. My heart was hammering and I honestly could not stem the flow of tears, particularly as one of those I couldn’t tell was my mum, who had left us the previous March. Messages poured in. My phone and my social media streams were red hot. I told the friend I’d been messaging earlier and she pointed out that this was she’d been trying to tell me – that I was #1! I was truly euphoric. April 2016 had marked twenty years since I sold my first short story to a national magazine, which I’d felt made me a ‘proper writer’. Since then I’ve sold over 150 short stories, six serials, dozens of columns, a writing ‘how to’ book, a novella and eleven novels (one yet to be published). You can see why, at my book launch for The Christmas Promise, I said it had taken me twenty years to be an overnight success! When I began to work with Juliet and then Avon Books, an imprint of the mighty HarperCollins, I had hopes that The Christmas Promise and the next book in the contract, Just for the Holidays, would meet with success. But a #1 best seller? That was wildest dreams territory. Thank you to everyone who bought, reviewed or just talked about The Christmas Promise! I rounded off the day with champagne and a rather large bar of Swedish chocolate. I may have had a small headache in the morning. Jane Holland's best selling novel, Girl #1 was one of my favourite reads of 2016. Her latest book, Lock the Door, is out now. Today, she's telling us a bit about her writing space, in a beach hut! When we lived in the Midlands, I rented an office in a town centre suite. I wrote about five novels there, over eighteen months, and loved the regular hours and the absence of domestic distractions. But when we moved back to the south-west, I couldn’t find any similar offices at a reasonable cost. Since I find it hard to concentrate at home – a bit of a drawback for a novelist – I tended at first to go out and write, mainly in cafés. Indeed, I still do that, as I love a nice latte. But after an hour or so, the staff would begin to glare at me, so it felt awkward. I knew I needed somewhere more permanent. Then I read online about people who write in beach huts, and thought, what a fab idea! I now rent a splendid beach hut overlooking a beach in Bude, Cornwall. It’s fifteen minutes from my home, and though parking is problematic in the summer, I have discovered all the ‘secret’ places where locals park without paying charges. The hut itself is very small – all the larger ones were snatched up at the start of the season. In a way though, that’s perfect, as it helps to concentrate my mind on the task at hand, i.e. writing my novel. I don’t need much to make a writing space: laptop, headphones (I listen to loud pop music while writing) and a drink. The hut fits a folding chair and desk, with a shelf for my gas stove and drink supplies. Beach paraphernalia gets squeezed under the shelf for when the kids visit. There are two cafés nearby, some deeply convenient toilets, and bracing cliff walks in both directions. When I arrive, I follow a set ritual. If it’s hot, I set my deckchair in the sun. Then I unfold my desk and chair inside, open my laptop, and start to write immediately. I usually shut the door when writing, as it can get draughty, but also to avoid people staring in as they wander past. (People do love to stare incredulously at writers.) I work in short bursts, so break every half hour to go for a walk, make a drink, or sit in my deckchair. If my husband happens to visit while I’m sunbathing, I like to call this ‘thinking’ time. Once installed, I write for several hours, sometimes all day. Folk in adjacent huts look on me as an eccentric, especially when I’m wearing my rainbow crocheted hat. I smile at them occasionally but try never to catch anyone’s eye, in case they spe ak to me and break the spell. And it is a spell. The view is dramatic and spectacular, especially when it’s windy and the white breakers roll in. The rhythmic noise of the tide acts like a metronome, pushing me on from sentence to sentence. I spent my formative years in sight of the sea, so there’s a comfortable nostalgia about it too. And I adore solitude that isn’t really solitude. Hiding in plain sight! We're welcoming Jan Brigden to Novelicious today to tell us about how an assignment for a creative writing course inspired her debut novel, As Weekends Go. The idea for my novel blossomed during a creative writing course I studied a few years back via the Writers Bureau. Assignment 19 – my mentor had challenged me to showcase the tension and conflict between two characters using minimal description and dialogue. I chose a jealous husband and his wife’s best friend who he’d secretly invited out on the pretext of discussing his wife’s surprise 30th birthday party. Instead he confronted her best friend about some gossip he’d heard following a recent weekend trip the two women had taken together. And so began my novel. I love multi viewpoint stories and had in mind a clash of agendas, involving two couples, whereby I could flit from one place to another as my fictional weekend progressed, to see what each party was getting up to, hence the three settings in As Weekends Go. I chose York for the ‘girls only’ spa break, (my main character Rebecca and her best friend Abi) after falling in love with its charm the first time I visited. Each time I returned for research purposes, my love for the city strengthened, which I hoped would translate to the reader when it came to describing Rebecca’s love for it too, both upon her arrival and exit, albeit for very different reasons. Hawksley Manor (my fictional venue where Rebecca and Abi stay in York) was loosely based on a hotel nearer to home where I spent a fabulous day with my best friend prior to getting married. We’d commented how lovely it would be to spend a weekend there as it was so relaxing. I drew on those memories, enlarged upon them and booked an appointment with the gen eral manager who, when I explained I was drafting my debut novel and would love the benefit of his knowledge of the day to day running of a hotel, etc., gave me the full guided tour and answered all fifty or so of my questions (I kid you not!) with a big smile on his face throughout. Poor man! Re Alex, my lead male character in the novel, I knew it was risky making him a footballer, given the lousy perception of some of them (fully justified in some cases) but being a person who tries not to judge people until I’ve met them, I wanted to challenge the stereotype and hopefully endear him to the reader. I’ve encountered one or two footballers in the past - at both ends of the personality spectrum - and it intrigued me how the guy who loved his family, trained hard and simply wanted to play football without all the razzmatazz attached to it, felt about being lumped in with the fast and flash‘bad boy’ types we sometimes see in the media. Finally, the inspiration for using Fuengirola on Spain’s Costa del Sol for the stag do setting, came from having spent many holidays in and around there over the years. I also worked a season there in my twenties which provided enough eye-opening scenes and tales to remember for life. It’s time to start thinking about New Year’s resolutions. Just remember, however impossible they seem on January 1st, there’s a bookish event out there that can help you on your way – even if it’s just a reward for reaching a mini-goal. So, whether your New Year’s resolution is to write a novel or get fit, there are plenty of great bookish events in January to keep you motivated! 02 January – First up is a no-brainer for all the aspiring romance novelists out there. 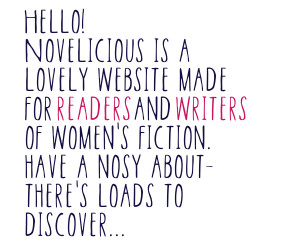 The Romantic Novelists Association’s New Writers Scheme opens at 10am. Membership costs £135 and includes a critique of your manuscript. There are only 250 places available and they are filled very fast so put the reminder in your phone now! 04 January – Do you consider yourself to be a bit of a book boffin? If so, then why not put your bookish knowledge to the test in Waterstones Birmingham’s “Not a Pub” pub quiz! Tickets are £1. 06 January – Fans of Bridget Jones know that her adventure starts with a list of her New Year’s resolutions and if getting fit is on your New Year’s resolution list then how about making it that little bit easier for yourself by signing up for the Finding Bridget Jones London walking tour. Tickets are £15. 08 January – Have you decided that 2017 is the year to write that novel you’ve been talking about for ages? Finding the blank page a little daunting? If so take a look at The Literary Consultancy’s How to Write a Novel 12-week course. Tickets are £349. 09 January – Maybe you’ve already written a novel and you’re determined to see it published in 2017. If you’re considering self-publishing, then The Writers’ Workshop four-week self-publishing course is well worth signing up to. It is taught by indie expert and Amazon bestselling author, Joanne Philips. Tickets are £195. 11 January – If you are looking to go down the traditional publishing route then don’t miss the opportunity to Meet the Editors with Mslexia at Waterstones Newcastle. Tickets are £5 and include a free glass of wine. 14 January – Whatever your New Year’s resolutions are, getting in the right frame of mind is the key to fulfilling them. So why not Explore Mindfulness with Ruby Wax in Bath. Tickets are £14.99 and include a copy of Ruby’s latest book Mindfulness for the Frazzled as well as a £6 book voucher. 14 January – Want to know How to get your novel published? Literary agent Ed Wilson and publisher Suzie Dooré will be revealing all in an unmissable half-day Guardian Masterclass. Tickets are £99 or £189 if you want to include a 20-minute feedback session. 17 January – If you are likely to struggle with post-Christmas blues and love the Great British Bake off then this is an event to put in your diary. Meet Nadiya Hussain, beloved star of #GBBO, in Waterstones Leeds where she will be signing copies of her debut novel, The Secret Lives of the Amir Sisters. Find out more details here. 21 January – What it is like to hear voices that no-one else can hear? This is the question being examined as part of a large study being carried out at Durham University. Join some of the scholars involved in the project for a talk on Literary Minds on 21 January and Dickens and Over-hearing on 26 January. Tickets are free. 25 January – If you are in need of some editing tips why not join Novelicious columnist Gillian McAllister, GX Todd and Stephen Aryan in Waterstones Birmingham where they will be discussing their editing processes as well as their paths to publication. This is a free event. 25 January – For Books' Sake actively seeks to empower women of all backgrounds to tell their stories. Join them for their monthly That's What She Said open mic event at The Book Club, London. Tickets are £7 in advance or £10 on the door. If you want to participate, email Paul to find out how to get your voice heard. 25 January – Join Cathy Bramley for afternoon tea at the Bookcase Bookshop in Lowdham, Nottinghamshire to celebrate the launch of White Lies and Wishes. Tickets will be on sale soon. You can follow Cathy on Twitter: @CathyBramley. 28 January – If you are looking to ‘Free your creativity and get started on your book’ then check out the Guardian Masterclass weekend course taught by Philippa Pride. Previously an editor at Hodder, Philippa has since set up The Book Doctor and has worked with bestselling authors including Stephen King. Tickets are £449. 29 January – Maybe you’re hoping to go to gym regularly in 2017. Well don’t forget about the Writing Gym. Join fellow writers in Waterstones Piccadilly for this motivational writing workout. Tickets are £12. 30 January – Are you an author? Want to sell more books? (Stupid question, right). Why not join Byte the Book at the Groucho Club, London for Publishing for Consumers to hear from publishing professionals about how to use data to maximise sales. Tickets are £20 for non-members. 31 January – Rounding off the first month of 2017 in style we have the announcement the prestigious Costa Book of the Year. Good luck to all the shortlisted authors! Have fun and let us know what you think of any events you attend! If there are any other bookish events coming up this month or the next, please comment below or tweet me on @WRITERachael.